I rate this moreso as my cheap school holiday outing. Kids love the illustrious range of pets as wére there for over an hour once a year stickybeaking. all i regurlarly buy is fish tank plants and a few dog treats as it isnt cheap but our x4 $1 goldfish are still going strong 2years later. Huge range of pet items, some can be quite expensive though. The staff are usually really friendly and knowledgeable. Judging by the comment below, I don't think I could buy a pet from them but they do have shelter kittens and cats that they sell from a local pound too. This store is also one of few that has a big range of reptiles and birds. Fun shop with lots of cute dogs but very over priced for treats. Range of supplies and pets are pretty good. Nice clean store. HOWEVER, both times I had been in there, there were people dropping off animals to be sold. One person with baby rabbits and another person with two designer x breed pups. The first one with the bunnies was filthy and the cage was filthy. The second person was extremely rough, treated the pups with disregard and like they were meat. The only thing I could think of was PUPPY MILL BREEDER. Get your act together Kellyville, start adopting out shelter puppies and dogs. You are encouraging a disgusting trade. Hi C Hall, Thank you for your review and comments. We do take all feedback, the good and the bad, very seriously. For over 30 years this has been a family business that is dedicated to promoting responsible pet ownership and ensure that animal welfare is our primary concern at all times. 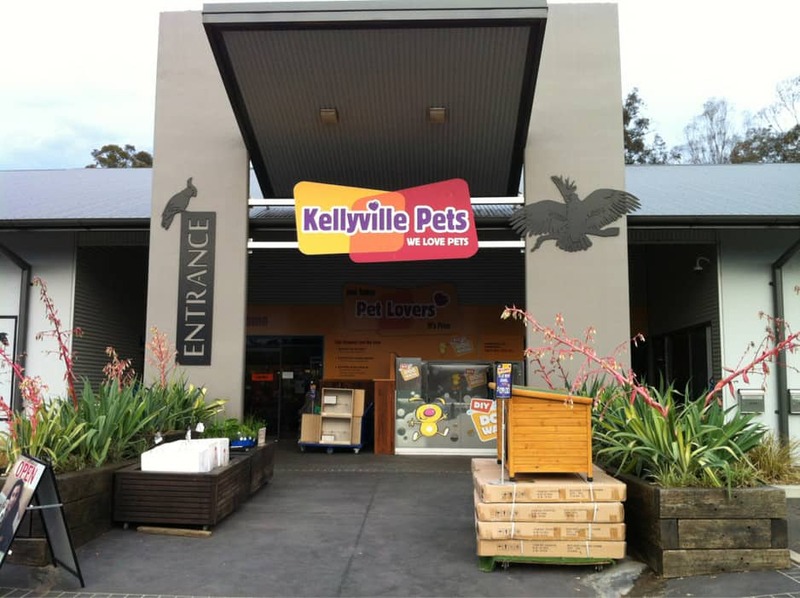 Our store has been specifically designed to meet and exceed standards as set out by PIAA and the Animal Welfare League NSW. We regularly and voluntarily have inspections to ensure that we comply and are maintaining the highest quality standards for the welfare of the animals in our care. Each day, we have a number of dedicated and specialist staff who are responsible for cleaning and caring for the pets in our store. Our animals (furry, feathery, scaly and crawly) come from reputable and registered breeders who must maintain a certain standard and level of care of their animals at all times. We have voluntarily provided welfare agencies such as RSPCA and AWL full access to our breeders to visit at any time they wish. We believe that any animal, purebred or crossbred, deserve wonderful, loving and forever homes. We are absolutely opposed to puppy mills or puppy farms of any kind and do not support, nor condone their activities. All our animals are periodically vet checked by an independent veterinarian and as an active PIAA member, all of our puppies are covered by a lifetime rehoming policy. In addition to this, we offer health guarantees and policies to ensure the continued health of the animal (even if itâ? ?s a goldfish!). We strongly support adoption and we work very closely with the Animal Welfare League NSW to help rehome rescue cats and kittens. To date, the Purrfect Partner Program has rehomWe have voluntarily provided welfare agencies such as RSPCA and AWL full access to our breeders to visit at any time they wish. We believe that any animal, purebred or crossbred, deserve wonderful, loving and forever homes. We are absolutely opposed to puppy mills or puppy farms of any kind and do not support, nor condone their activities. All our animals are periodically vet checked by an independent veterinarian and as an active PIAA member, all of our puppies are covered by a lifetime rehoming policy. In addition to this, we offer health guarantees and policies to ensure the continued health of the animal (even if itâ? ?s a goldfish!). We strongly support adoption and we work very closely with the Animal Welfare League NSW to help rehome rescue cats and kittens. To date, the Purrfect Partner Program has rehomed 162 cats. All adoption fees are donated back to the Animal Welfare League to help save the lives of many more. We care and look after them at our own cost while they are in our care. We hope to one day be able to rehome dogs as well through the store. Once again we thank you for your feedback as we strive to continually improve everything that we do in-store for the best possible care for our pets and for their potentials pet parents. Should you require any further information, or wish to discuss this matter further, feel free to contact us on (02) 9629 3282 or visit us in-store. I went in to the store to sign up for membership and set up an aquarium when I had an accident and broke something. They had the nerve to charge me for it when it was due to their bad stacking! Never shop there, otherwise you may spend a fortune on nothing!